ARE THE AGE OF MENARCHE AND THE AGE OF MENOPAUSE CORRELATED WITH BREAST CANCER MOLECULAR SUBTYPES? The purpose of the study was to determine wether the age of menarche, the age of menopause or the lenght of the period between them are somehow related to the molecular subtype of a breast tumour. Data from 438 women collected in the past 10 years (January 2007 – December 2017) from patients that were treated for breast cancer in the Oncology Department of the University Emergency Hospital Bucharest, Romania was analyzed in a retrospective, monocentric, descriptive manner. No statistical significant correlation between the three researched parameters and the molecular subtype of the breast cancer was found. 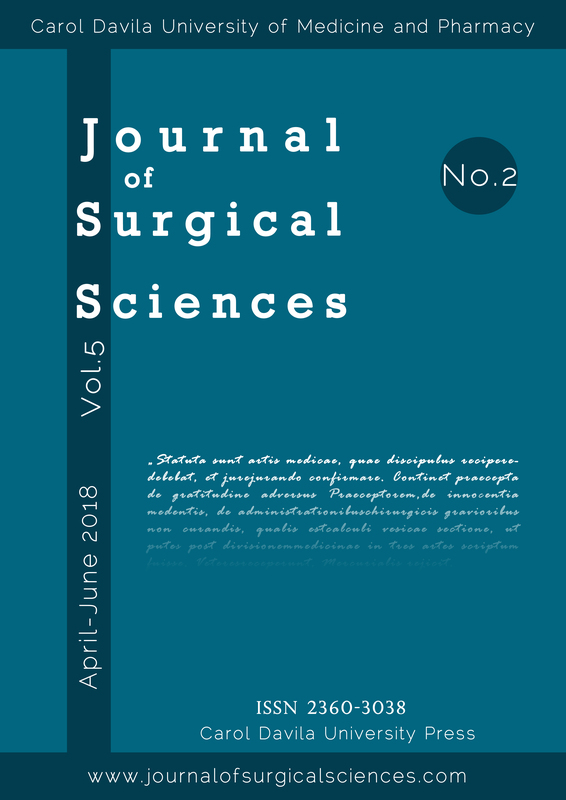 V. Munteanu, P. Vârtej, and F. Gherghiceanu, “ARE THE AGE OF MENARCHE AND THE AGE OF MENOPAUSE CORRELATED WITH BREAST CANCER MOLECULAR SUBTYPES?”, JSS, vol. 5, no. 2, pp. 72-75, Nov. 2018.